Stunning news, guys! 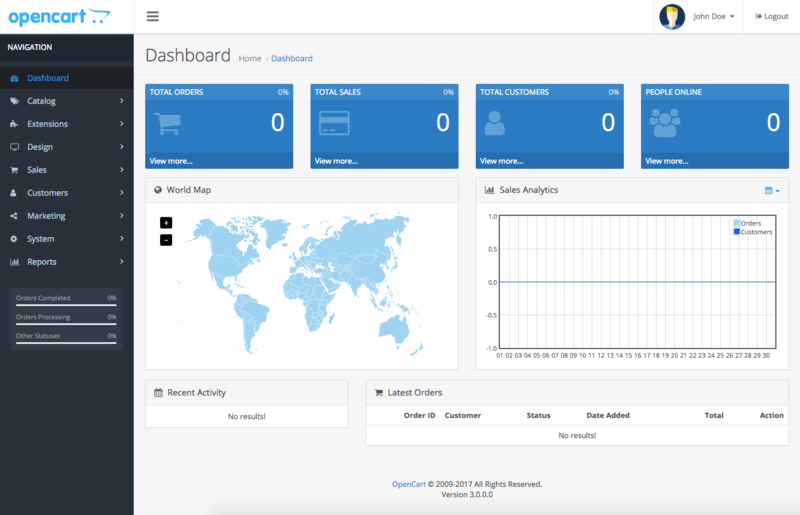 OpenCart has just started new page in life, by releasing the long-awaited new version of OpenCart 3.0. The latest version comes with brand new features and updates and it can’t leave indifferent even the most demanding and clinging to details store owners. That’s why Cart2Cart didn’t miss opportunity to satisfy your curiosity and review what’s new got OpenCart 3.0. Of course, we were preparing for this moment - from now on an automated OpenCart 3.0 migration is at your disposal! Let’s come back to what’s relatively better got new version and why it’s worth to perform OpenCart 3.0 migration. Let’s take more closer look at them together. Before OpenCart 3.0, Marketplace could only be reached from official website, now it’s added as extension, what enables you to access to it directly from your Admin Panel. The next important addon is Language Translation - now store owners can work on their native language, by installing and uninstalling it from Available Translations in Crowdin Project. It is, definitely, the simplest language management in eCommerce. The new Theme editor allows you to modify the OpenCart store theme code in Admin via Twig language. You simply select the template you want or have by default and make any changes to it whatever you like. In addition, if you have OpenCart multistore, you can edit templates for particular store with no worries. 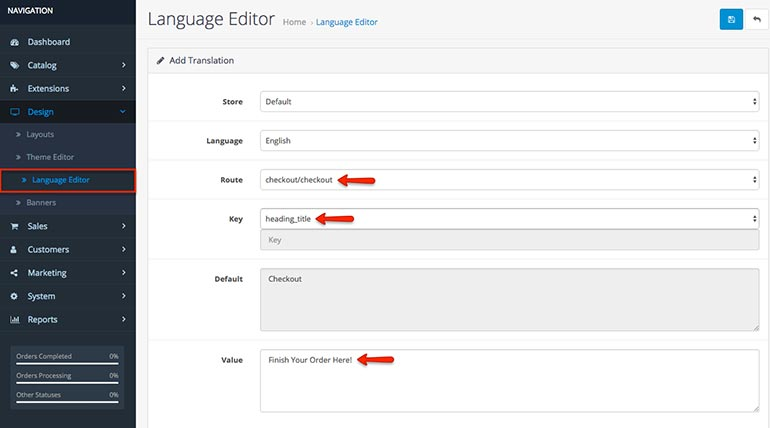 Another important feature, presented in OpenCart 3.0 was Language Editor that allows you to customize content of your store and change texts into preferable language. No doubts that OpenCart 3.0 includes all mentioned above features, but it has much more to boast on like brand new interface. Now it’s more compact and clear. The improvements can be seen though the whole Admin Panel, e.g adding user’s icon in profile menu and category menu hamburger along with other minor touches. New design - new OpenCart life story! From the this very moment OpenCart supports Multilingual SEO URLs - that means you can use any language you want to appear in Google SERP. The new filters are added over the whole Admin Panel. What can’t be neglected in the new improved Extension Installer. It contains the new section called Install History, that records all the extensions you have already installed. Improved OpenCart 3.0 Reports enable you to add reports thought extensions menu - you can choose the one you need and disable the others. New added Statistics menu allows you to track sales, complete orders, returns along with products out of stock and many other. What are our thoughts of OpenCart 3.0? All the applied changes make OpenCart 3.0 more robust and easy in use. Now it’s much simpler to manage your store without appealing to developers - that is exclusively important. OpenCart 3.0 migration can open you doors to a completely new and effective tools to boost your store performance. This is a new chapter in OpenCart history and you’re definitely shouldn't miss it. If you already using OpenCart it’s high time to upgrade to OpenCart 3.0. Cart2Cart migration service allows you to do it much easier than other market solutions. Effortless 3-step data migration via Cart2Cart enables you to meet a brand new store in just couple of hours, with no technical skills. How that sounds? All you need is to choose what data you want to import to OpenCart 3.0 and it will be automatically transferred with no user interaction, keeping you current store available to customers. If you are not running your store on OpenCart, don’t miss you chance to try out this top-notch platform. Choose your current shopping cart from 80 supported solutions and move your eCommerce data to OpenCart 3.0 now! For specific migration-related questions contact our 24/7 support team. Ready to perform migration to OpenCart 3.0 now? No worries, start with Free Demo right now and enjoy your redesigned store in few hours!